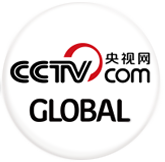 And here's something you can only experience in Shibing County in southwest China's Guizhou province. 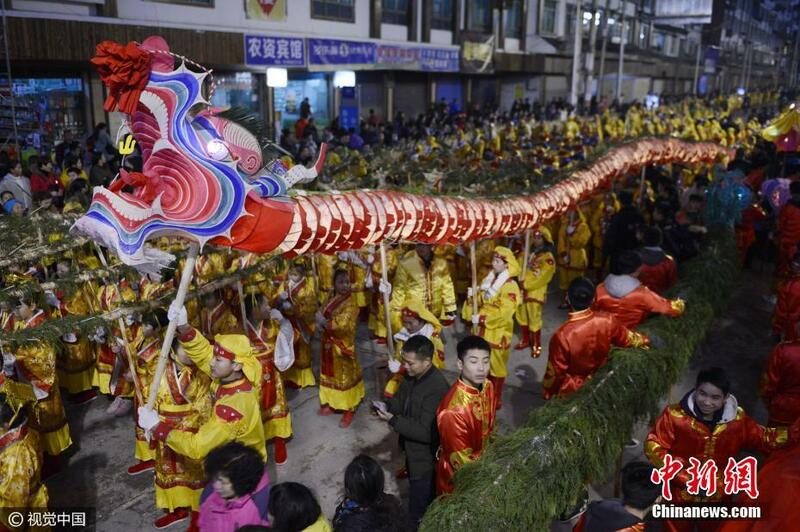 Locals there have been holding a straw dragon dance for about the last 500 years. They have passed the tradition on from generation to generation to keep it alive. 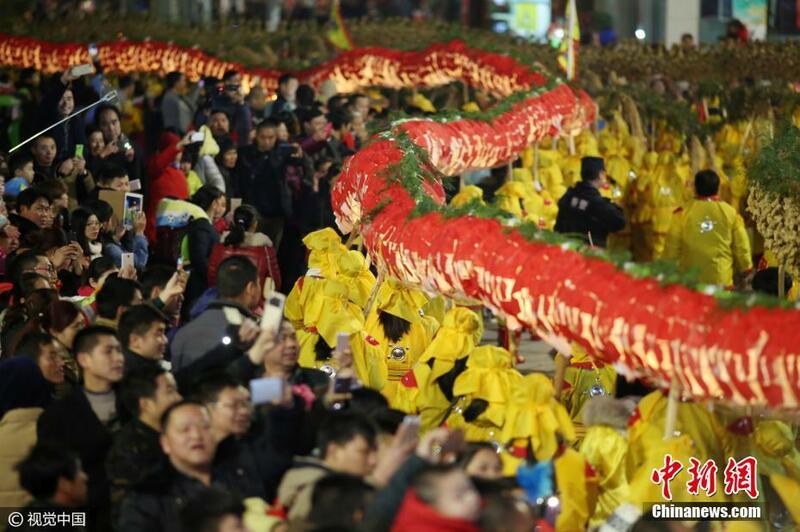 Every evening during the Spring Festival, this dragon travels through Shibing county to scare away evil spirits and all the bad luck that goes with them. The dragon is made of straw, and it features: the head of a bull, the mouth of a tiger, the horns of a deer, the body of a snake, the paws of an eagle, and the tail of a fish. During the dance, a dozen or so performers hold the dragon up on poles. They raise and lower the Dragon making, him "dance" as they wind through the masses to the sounds of horns, drums and gongs. 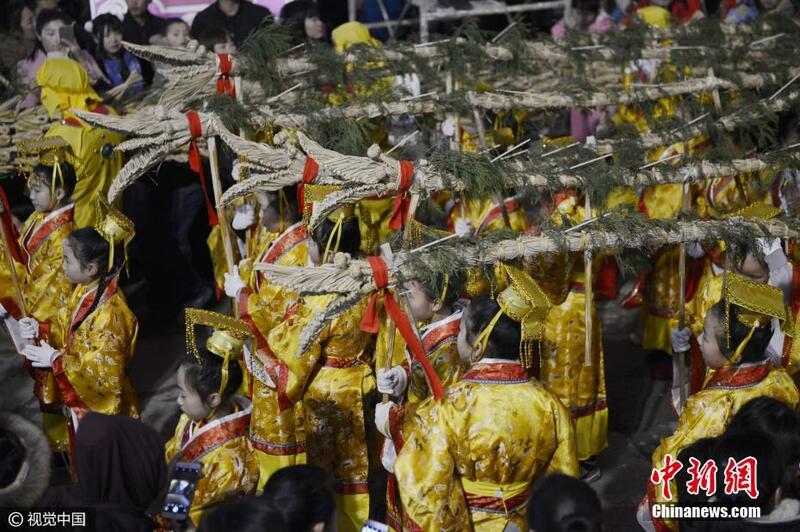 "The dragon lantern is made with wood and straw, and this tradition has been around for over 500 years. The straw symbolises prosperity, and a good harvest in the new year." "I'm very happy to spend the new year with the locals, it's so special and I haven't seen that in anywhere else." Nowadays, the dance is usually performed during town festivals and celebrations. The older generation passes the dance movements down to their children, so the heritage will not be lost.